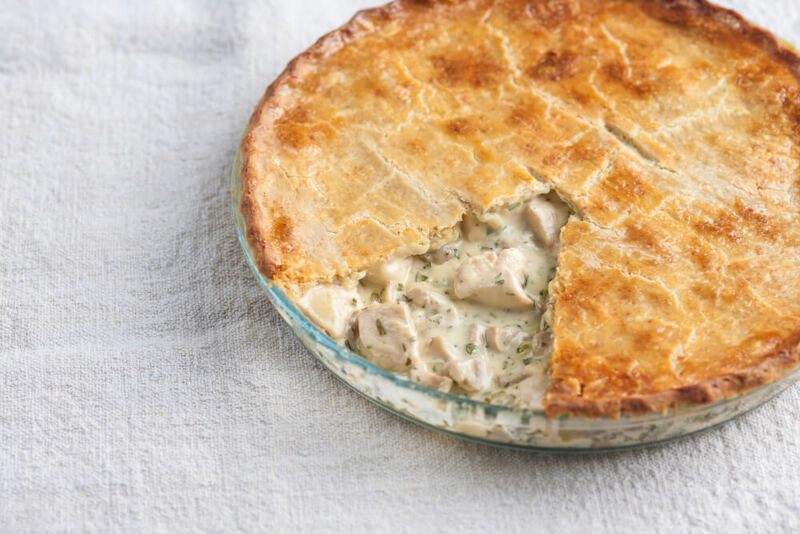 This steak and mushroom pie includes carrots, onion and thyme for a fresh and delicious flavour. You will need beef stewing steak for this, which is an economical cut of meat that does well when cooked long and slow. Expect it to take up to 3 hours to become very tender and keep the heat at a gentle simmer, no more, else the meat will toughen. If you are planning ahead, why not prepare the filling the day before in a slow cooker, then you can just assemble the pie the following day? This will save time if you're making this on a busy weeknight. Serve this steak and mushroom pie with mashed potatoes and a vegetable on the side. It's something the kids are going to love just as much as the grownups. If you want to make tweaks, consider swapping the beef stewing steak for lamb stew meat, or the carrots for pumpkin. Add some minced garlic if you want, or even a pinch of chilli powder if you like the kick. Knowing how to make a delicious steak and mushroom pie means you can rustle up this delicious feast whenever you want. Served with a starch and some vegetables, this makes a healthy and well-balanced meal. It's especially good for cool evenings when you crave something warming and comforting in your belly. 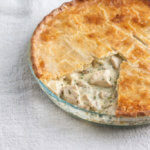 So try this steak and mushroom pie - you won't be disappointed. Grind some salt and pepper over the beef. Heat an ovenproof casserole dish until hot. Add the oil and beef in batches, frying until browned. Put all the beef back in the pan and stir in the cornflour. Add the mushrooms, carrots, onions and thyme. Now add the stock and bring the mixture to a simmer. Cover and simmer for about 2 and a half hours or until the meat is very tender. Add salt and pepper to taste, then let the mixture cool. Meanwhile preheat the oven to 180 degrees C.
Spoon the meat mixture into a big pie dish and brush the edge of the dish with beaten egg yolk. Lay the pastry over the filling and the dish and crimp the edges to seal. Cut a couple of slits in the top so steam can escape. Bake for 30 minutes or until the pastry is golden brown and the filling is hot.